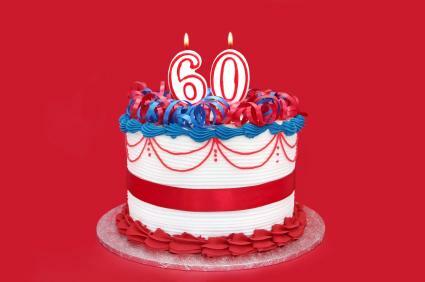 Make sure your special day goes off with a bang with these 60th birthday party ideas. Sixty is a big milestone, so make sure you mark in style. 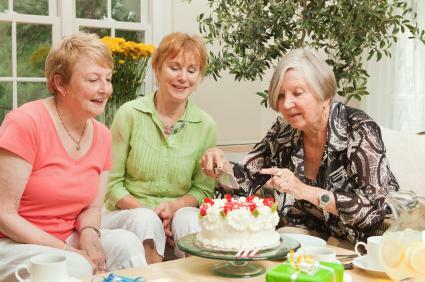 Reaching a 60th birthday is a major milestone that deserves some special recognition in the form of a memorable party. Using a theme can make this party great. Nostalgia tends to be a regular theme of birthdays past a certain age, and why not? A trip down memory lane puts everyone in a good mood. One way to incorporate this nostalgia is a party based around a favorite movie of the birthday boy or girl. Think about the films that were popular in the guest of honor's youth and choose one for your focus. James Bond films: Perhaps rent some casino games, like in Casino Royale, and ask the men to dress in tuxedos and the women to dress elegantly. If you plan to serve alcohol, offer Vespers, Bond's own version of a martini made with vodka instead of gin, and famously shaken and not stirred. A nice selection of hors d'oeuvres, some non-alcoholic beverages and a classy birthday cake complete the menu. "Road to..." films: This series of films took Bing Crosby, Bob Hope and Dorothy Lamour around the globe to exotic locations like Zanzibar, Singapore and Morocco. So, think about exotic decorations like tiki torches, sarongs and palm leaves, as well as a few exotic dishes to carry out the theme. Be sure to have some less spicy dishes on hand, too. Saturday Night Fever: This movie and its follow up, Stayin' Alive, were integral to the disco/club scene. If this era holds any charm for the birthday honoree, plan to play the movie soundtracks in the background, and hang a mirror ball from a central light fixture. Fondue was also popular during that time period, and it would make great party food. Decade parties are a longstanding hit for birthdays ending in "0." The idea is that there are things at the party that represent every decade in the person's life. Assign a certain decade to each aspect of the party, from the food to the decorations to the games to the music. Assign each guest a certain decade and ask them to bring along something that represents that decade. Again, this could be a dish that was all the rage during those years or the game that everyone just had to play. Assemble a timeline of the birthday honoree's photos to show how he or she has changed through the years. In a similar vein, you could assemble a variety of photos organized by decade in a sort of "This is your life" theme. Is the birthday honoree still a big kid at heart? Throw a birthday party with all of the trappings of a kid's birthday party. Hang crepe paper and balloons, and hand out party hats and noisemakers. Plan silly games with prizes. Haul out the old "Pin the Tail on the Donkey" game from your own kids' parties. Either request gag gifts (toys), or ask guests to donate to an organization like Cheerful Givers that provides needy children with birthday gift bags through shelters and food banks. Most people are glad to be leaving high school behind when they graduate, but a 60th birthday is just far enough away from those four years that only the good memories remain. For most people, what was more magical about high school than prom? Consider renting a hall for a special 60 and over prom. You could easily turn your living room into the perfect prom destination by shoving the furniture aside and installing a disco ball and some mood lighting. Ask all of your guests to show up in their prom best, and don't forget to spend extra time picking out just the right music. There's nothing like a little bit of friendly competition to get a party going! After dinner and cake, settle down to a good old game of trivia with questions you prepare beforehand. Focus on news, entertainment, sports and other events that happened during the lifetime of the person having the birthday. If everyone knows each other fairly well, you can skip the "current events" and focus the questions on the life of the birthday honoree, like which year he/she got married, what his/her first job was and so on. Don't forget to have some prizes on hand for the top three winners. If the honoree is an animal lover, consider having the party in the picnic area of the local zoo or at a farm with a petting zoo. If the birthday honoree is one of those fortunate people who has everything, you may want to ask guests to donate to an organization like Heifer International to provide farm animals, such as cows, a goat, rabbits, or chickens, to families in underdeveloped countries. You could also ask the guests to pool their resources to adopt an animal at the honoree's favorite zoo. Use animal print paper products and decorations for the party. For a history buff, plan a party with a history theme. Provide food items from each decade of his/her life. Play music from his teens and twenties, and have someone teach everyone a couple of dances from the honoree's teen years. Instead of gifts, ask the guests to bring a clipping of a memorable event from one of the six decades of the honoree's life. Provide a scrapbook for the clippings. Will children attend the party? If it's an adults-only party, you can select different ideas than if the kids are going to be involved. If the kids will be there, remember that they will need to be entertained. How well do the guests know each other? If you're bringing different groups of friends together for the first time, remember that games and activities that break the ice without putting anyone on the spot are a good idea. How active is the group? If the guests are the types that like to live it up, an active party with lots of dancing and other games is great. If everyone is more likely to sit and chat, keep that in mind as well. 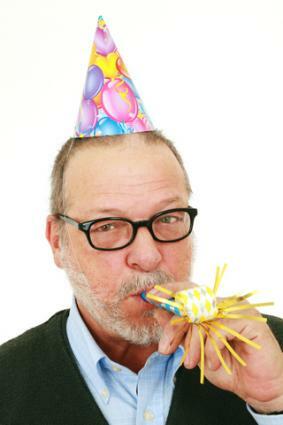 Planning a 60th birthday party takes a bit of work, but it will be well worth the effort. Plan the party around the interests of the honoree, but try not to go overboard carrying out your theme. You don't want it to overshadow the birthday boy or girl.